Romantic Ideas! You need them. 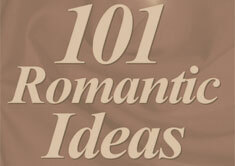 We have plenty of really great romantic ideas just for you. Read these and then search our site for even more romantic ideas.